I finished all my seaming and weaving in of ends tonight. 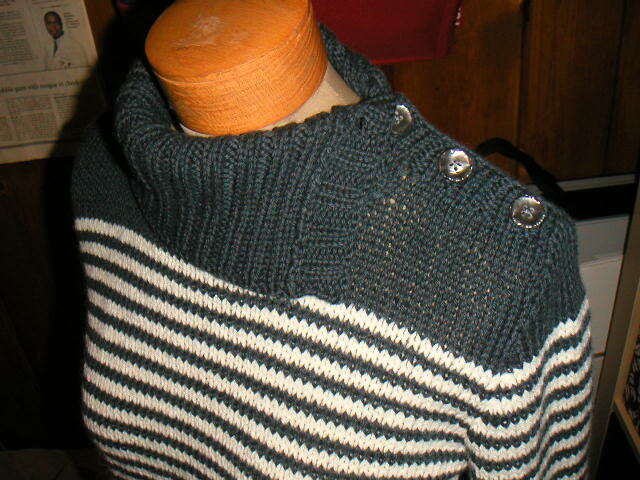 Once that was done, I steamed blocked the collar and sewed on the four buttons. I really love this sweater. I find that sometimes the fit with Rebecca patterns is a little wonky, but this sweater fits perfectly. I like the snug fit of the sleeves and how the collar is a bit asymmetrical. I also think the Elsebeth Lavold ClassicAL yarn was a good choice. Another beautiful sweater, Melissa. I love that button placket. Wear it well! Wow, this turned out really nice. I think yours looks better than the one in the mag!